You can now friend “illinoisstate” on Snapchat. Illinois State University wants to be your friend on Snapchat. The University recently launched its own Snapchat account (“illinoisstate”) to engage with students on the increasingly popular social media platform. Students and others who “friend” the illinoisstate account will see photos, video, stories, and more, specifically created for the ephemeral Snapchat app. 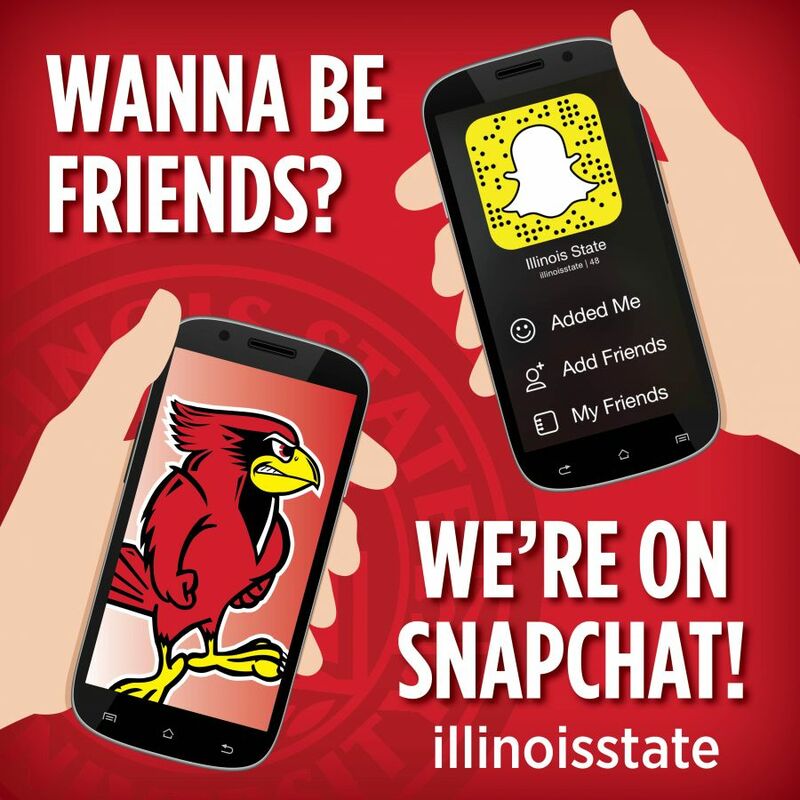 Illinois State’s expansion into Snapchat is part of an ongoing effort to engage and inform students wherever they may be. The illinoisstate account was launched by University Marketing and Communications (UMC). Red Alert, the student group supporting Illinois State Athletics, unveiled the redalertisu Snapchat account this summer. The account offers a unique glimpse of the fun student atmosphere surrounding home game days as well as Redbird pride on campus throughout the week. Illinois State University is active on many of the most popular social media channels, including Facebook, Twitter, and Instagram. To see all Illinois State social accounts, visit IllinoisState.edu/Social.